Although not unexpected, receiving the news of the passing away of Dato' Nordin Baharuddin was certainly a sad news indeed. Although I visited his home 2 weeks ago, he was too weak to accept visitors. For sure, he will be remembered as an honest gentleman with passion and principles, the fittest among all accountants in town. 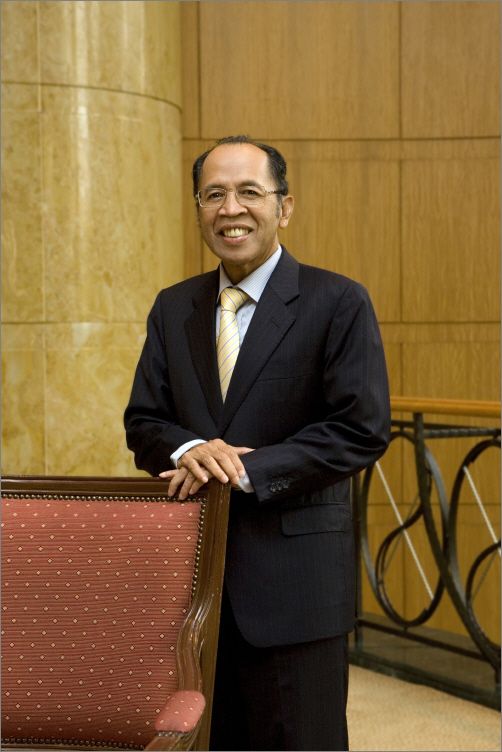 YBhg Dato' Nordin Baharuddin is formerly the Chairman of KUB Malaysia Berhad. He was the Executive Chairman of Ernst & Young Malaysia from 1999-2004 and has over 35 years of work experience in both public accounting practice and in the commercial sector. Dato' Nordin was admitted as a member of the MICPA in 1982 and became a Council Member of the Institute in 2000. He is the Chairman of the Administrative & Financial Affairs Committee and a Member of the Executive Committee and the Public Affairs Committee of the Institute. 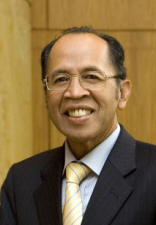 After graduating from The London School of Economics and Political Science, Dato' Nordin joined Deloitte Haskins & Sells in London in 1973 to pursue Chartered Accountancy. Upon qualifying, he joined Petronas in 1979 as Manager in the Production Sharing Audit & Accounts Department, which oversaw the implementation of production sharing contracts between Petronas and other oil companies. Dato' Nordin joined Ernst & Young in 1980 as Manager and was soon promoted to Principal and Partner. In 1984, he was transferred to the Sarawak office of Ernst & Young to assist the Partner-in-Charge in developing the Ernst & Young offices in that State. In 1990, Dato' Nordin was appointed the Partner-in-charge of Sarawak with overall responsibility for the growth and development of the practice. He also had special responsibility for staff training, quality control and technical standards. Dato' Nordin has participated in a number of public speaking engagements on a number of subjects relating to accounting, auditing and finance. He has many years of experience providing advisory, accounting and audit services and has also served as a member of the Working Group on Corporate Governance of the Islamic Financial Services Board. Currently, Dato' Nordin is an Independent Non-Executive Director of Sarawak Enterprise Corporation Berhad, Scomi Engineering Berhad, Visdynamics Holdings Berhad and Senior Advisor to Citibank Berhad. In recognition of his services to society and the nation, he was awarded the Darjah Setia Negeri Sembilan in 2000, which carries the title Dato'. 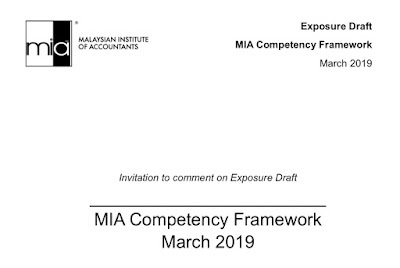 He is a Council Member of the Malaysian Institute of Accountants and is also a Fellow of the Institute of Chartered Accountants in England and Wales and a Member of the Financial Reporting Foundation. Condolences to the family. Dato' will always be rememembered as a kind gentleman, soft-spoken and brilliant.